Protect Water for Future Generations. 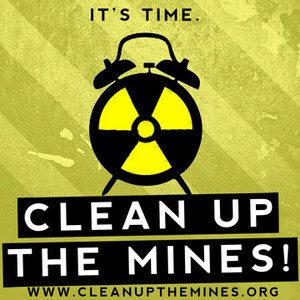 – Stop Radioactive & Destructive Mining in the Black Hills. “The Madison and Minnelusa aquifers are two of the most important aquifers in the Black Hills.” – United States Geological Survey …. read more. Hope you’ll join us on April 27th from 10:00 AM – 3:00 PM at the 4-H Building, Pennington Country Fair Grounds. Recent development – Disclaimer: CWA received information from Seth Tupper, reporter for the Rapid City Journal, that the Bureau of Land Management (which manages mining claims) told him that there are not actually mining claims in the Black Elk Wilderness Area. There was apparently a clerical error at the BLM and has been confirmed in an email from the BLM. Watch our Facebook page for immediate updates and published articles. Black Elk Wilderness is protected under federal laws – there is to be no mining in this area. Clean Water Alliance’s research has confirmed that F3 Gold, which is working with Big Rock Exploration, has mining claims in the Black Elk Wilderness Area, which is protected from mining under several Congressional acts, including the 1868 Fort Laramie Treaty and the 1964 Wilderness Act. The sections that include claims are the sites of 16 active mining claims. The sections also include Black Elk Peak and portions of the north and south trails to the Peak. … READ MORE. Our Alliance is a diverse collection of citizens concerned about the health, environmental, and economic impacts that irresponsible mining projects would have on our communities, people, economy, and natural resources. Join us and let’s Keep Black Hills Water Alive! Join our mailing list, volunteer, or donate. This is our Water! Are you in? Join Today. Download here to print (front/back) or Contact us to order a pre-printed brochure. New efforts to reform the 1872 Mining Law, which is the law that permits companies to mine on federal public lands without paying any royalties. There’s more information on the and on the reform effort here — Mining Reform Bill Introduced on Anniversary of Infamous 1872 Law. The U.S. Court of Appeals for the District of Columbia issued a decision on Friday, July 20, in the case Oglala Sioux Tribe v. Nuclear Regulatory Commission. The Court’s decision supports the Tribe’s arguments and is an important step in protecting the Black Hills from uranium mining. Read More. Toxic Uranium Mining was stopped once before in the Black Hills. We can do it again. Click on this 1980s bumper sticker to learn more.